Did you get enough to eat at the Greek and Assyrian food festivals this last weekend? Wow, food, football and fun. Great times. This week will be another magical mystery tour of amazing things to do, eat and experience. First off, the Community Brunch is Sunday. This is a an amazing gourmet brunch presented by Modesto area chefs, volunteers and Dan Costa to benefit 5 different non-profits. It is a first class event with crepes, omelets made to order, shrimp cocktails, mimosas and so much more this Sunday. This is the tastiest way that you can donate to non-profits ever. Please support this event and get your tix at www.thecommunitybrunch.com. The ViewCrew will be there to volunteer as well and you can hear many great local musicians too. But wait! There’s more. 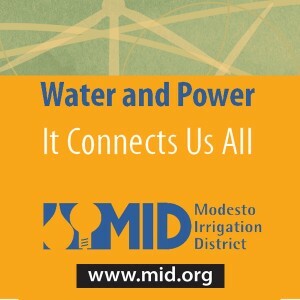 Modesto Architecture & Design Week is happening now, with exhibits, tours, and educational sessions all week long. We have our own Modesto TEDx conversation at the State Theatre and don’t forget that is it Art Walk week on Thursday evening too. This weekend, we will celebrate Pride Fest at John Thurman and with the Spectrum Party in 10th St Plaza. Don’t miss the ultimate rock and roll “battle” as it is Beatles vs Stones at The State on Saturday night. It is going to me an action packed exciting weekend. Hope to see you out and about and please share this email with people that need to positive good word about the good things happening in Modesto. PS. Don’t forget to Vote for local musicians at modestoareamusic.com. Community Brunch: Who loves Brunch? Everybody! Modesto is MAD about design. The ModestoView Magazine is 100% positive each and every month with a print run of 56,000 copies, 36,000 home delivered and over 800 dropoff locations in Stanislaus County. If you are interested in advertising email advertising@modestoview.com for our rate card.